I don't think we grow a lot of cotton here in the Philippines but we do have a lot of great beaches. And since it's summer, it's definitely the best time to go to one. 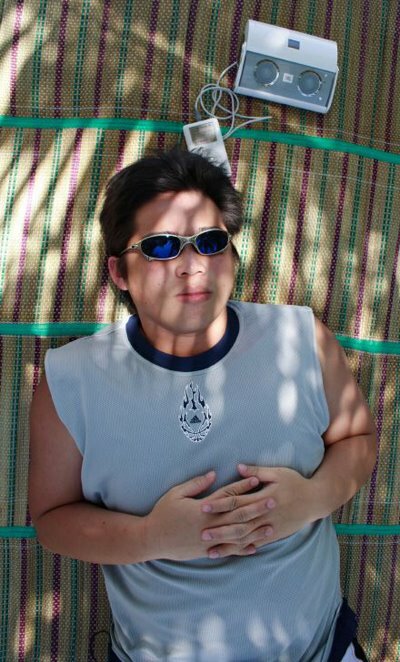 Just think of the sun, the sand, the laid-back atmosphere, a refreshing drink and some great music. Pretty nice picture, eh? 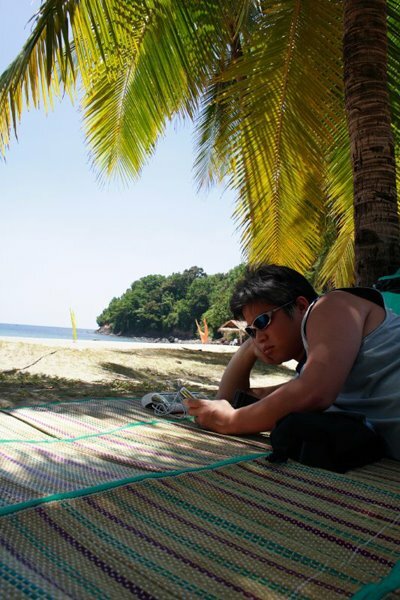 Speaking of pictures, PinoyMacLovers reader, Nic, has sent us some easy summertime livin' photos of him enjoying the beach bum life (if only for a few well-deserved vacation days). 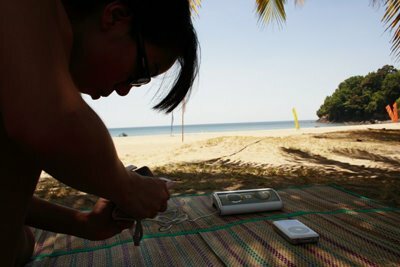 With his 4th Gen 40GB iPod and portable JBL On Tour speakers, he set out for a few days of relaxation at the beautiful Montemar Beach Resort in the Philippine province of Bataan.